You shed old identities to express new ones. 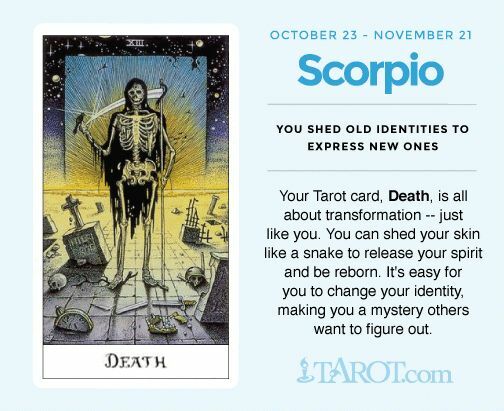 Your tarot card, Death, is all about transformation --just like you. You can shed your skin like a snake to release your spirit and be reborn. It's easy for you to change your identity, making you a mystery others want to figure out.